Who has never had a flaming drink? It does have a dramatic flair and some say it also changes the flavour of the beverage as it lowers the liquid content of the drink, condensing the flavours to make the beverage taste richer and deeper. The fire however, actually burns off some of the alcohol. 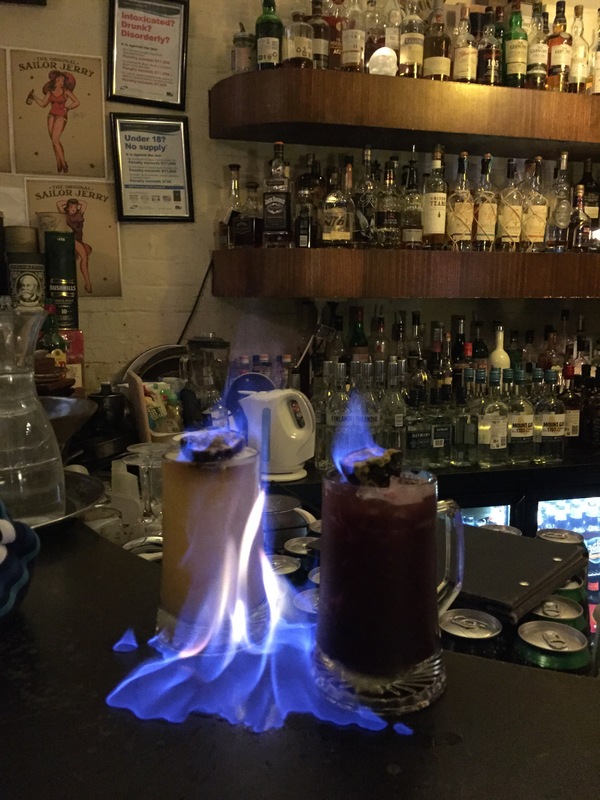 Any alcoholic beverage with 40% or more alcohol will ignite, though those of 50% or more produce a steady flame.A good random fact about drinks on fire: the first written evidence of these drinks was published in 1862 in a bartender’s manual by Jerry Thomas and it contained the recipe of the Blue Blazer – the first flaming cocktail. Next Gansos in my coffee? !